Officers of The RCR (CEF) - Brevet Lt.-Col. R.O. Alexander, D.S.O. » Brevet Lt.-Col. R.O. Alexander, D.S.O. Brevet Lt.-Col. Ronald O'Keden Alexander, D.S.O. 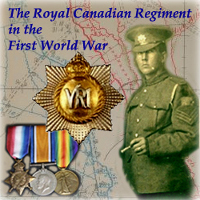 Enlisted with the 3rd Regiment, Victoria Rifles of Canada, 1908. O.C. 24th Bn. C.E.F., 1916. First World War - 1914-15 Star, British War Medal, Victory Medal. D.S.O. Despatches (3). SUPPLEMENT TO THE LONDON GAZETTE, 1 JANUARY, 1917; Awarded the Distinguished Service Order - Maj. Konald Okeden Alexander, Can Inf. General Staff Officer, 2nd grade (GSO2), 2nd Canadian Division, from 21 Oct 1917 to 4 Feb 1919. General Staff Officer, 1st grade (GSO1), 2nd Canadian Division, from 5 Feb 1919 to 1 Apr 1919. 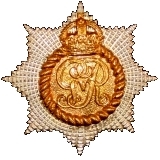 Continued to serve in the Permanent Force, The R.C.R. from 1919 to 1939. General Staff Officer, 1st grade (GSO1), Military District No. 4, from 1 Oct 1920. Professor of Tactics, Royal Military College, 1924. 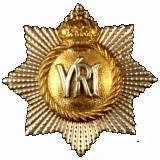 General Staff Officer, Military District No. 4 (temporary), from 1 Jan 1928. General Staff Officer, Military District No. 10, from 1 May 1928. 22 Sep 1929; Captain (Brevet and temporaty Lieut.-Col) R.O. Alexander to be Major. 31 May 1930; holding appointment of G.S.O., M.D. No. 10. 4 May 1935; To be District Officer Commanding Military District No. 7, with the rank of Colonel (temp. Brigadier). District Officer Commanding, Military District No. 4, from 25 Sep 1935. King George V Silver Jubilee Medal (1935), awarded on 6 May 1936. King George VI Coronation Medal (1937). Inspector General for Central Canada, from 1 Jul 1942 until 1945. Companion of the Order of the Bath; 10 JUne 1944 - "The KING has been graciously pleased, on the occasion of His Majesty's birthday, to give orders for the following appointments to the Most Honourable Order of the Bath." Legion of merit (Degree of Commander); 27 July 1946 - "The KING has been pleased to gtant unrestricted permission for the wearing of the following decorations which have been conferred unpon the undermentioned in recognition of distinguished service in the cause of the Alies: Decorations Conferred by the Preseident of the United States of America." ALEXANDER, Brig. Ronald Okeden, D.S.O., 1917; Canadian military service; of Scot, ancestry; b Kandy, Ceylon, 7 Aug. 1888; s John Abercromby, late Ceylon Civil Service and Mary Parry (Parry-Okeden) A.; e Bedford, Eng. ; Staff Coll., Camberley, Eng. ; m Gertrude d Rt Rev. L.W. Williams, late Lord Bishop of Quebec, 19 Feb. 1917; children James Okeden, Jean Mary, Ronald Lennox; DISTRICT OFFICER, COMMANDING MILITARY DISTRICT NO. 4, MONTREAL, SINCE 1935; comn. lieut, 3rd Regt Victoria Rifles of Can., Montreal (Candn. mil.) 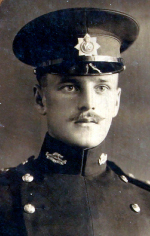 28 Aug. 1908; lieut, Roy. Candn. Regt, 21 June 1910; promoted capt, do., 24 Mar. 1915;, served in World War 1914-18 as follows: capt and adjt., 24th Bn. C.E.F., Nov. 1914; maj., do., 1915 lieut-col.' commanding, 24th Bn., 1 Nov. 1916; gen. staff officer (2nd and 1st grade) 2nd Candn. Div., 21 Oct 1917 to 1 Apr. 1919: saw service in France, Flanders and Germany, holds 1914-15 Star; Brit War Medal; Victory Medal; three times mentioned in despatches; gen. staff officer (1st grade) mil. dist No. 4, Montreal, 1 Jan. 1920 to 6 Sept. 1924; prof. of tactics in Roy. Mil. Coll., Kingston, Ont., 7 Sept 1924 to 31 Dec. 1927; gen. staff officer (1st grade) mil. dist No. 4, Montreal, 1 Jan. 1928 to 30 Apl. 1928; do., mil. dist No. 10, Winnipeg, 1 May 1928 to 3 May 1935; dist O.C., mil. dist No. 7, St John, N.B., 4 May 1935 to 24 Sept 1935; promoted to the rank of brig. 4 May 1935; has contrib. prof, articles to mil. journals; is mem. of Roy. Un. Service Inst (Eng. ); Soc for Army Hist Research (Eng. ); Anglican; recreations all sports; Address H.Q. Military District No. 4, Montreal, P.Q. ALEXANDER, Maj. Gen. Ronald Okeden, C.B., 1943, D.S.O., 1917; Canadian military service; of Scot. ancestry; b. Kandy, Ceylon, 7 Aug. 1888; s. John Abercromby, late Ceylon Civil Service and Mary Parry (Parry-Okeden) A.; e. Bedford, Eng. ; Staff Coll., Camberley, Eng. ; m. Gertrude, d. Rt. Rev. L. W. Williams, former Lord Bishop of Quebec, 19 Feb. 1917; children: James Okeden, Jean Mary, Ronald Lennox; comn. 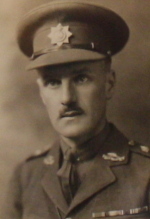 Lieut., 3rd Regt. Victoria Rifles of Can., Montreal (Candn. mil.) 28 Aug. 1908; Lieut., Roy. Candn. Regt., 21 June 1910; promoted capt., do., 24 Mar. 1915; served in World War 1914-18 as follows: capt. and adjt., 24th Bn. C.E.F., Nov. 1914; maj., do., 1915; lieut.-col. commanding, 24th Bn., 1 Nov. 1916; gen. staff officer (2nd and 1st grade) 2nd Candn. Div., 21 Oct. 1917 to 1 Apr. 1919; saw service in France, Flanders and Germany; holds 1914-15 Star; Brit. War Medal; Victory Medal; three times mentioned in despatches; served as gen. staff officer (1st Grade) mil. dist. No. 4 and 10; prof. of tactics R.M.C. ; dist. O.C. mil. dist. No.7 (St. John, N.B. ); No.4 (Montreal); No. 2 (Toronto); promoted brig. May 1936; dist. O.C. Mil. Dist. No.4, Montreal, P.Q. 1936-38; No.2, Toronto 1938-40; maj. gen. 1940; G.O.C. in C., Pac. Command 1940-42; Inspr. Gen. 1942-46; has contrib. prof. articles to mil. journals; is memo of Roy. Un. Service Inst. (Eng. ); Soc. for Army Hist. Research (Eng. ); Anglican; recreations: all sports: Address: Victoria, B.C. Date of Death - 27 Jul 1949, age 60; at Saanich B.C.